Share the post "The Beautiful Book Company Review"
You know when you receive a parcel that makes you squeal a bit? Yes, that happened to me last week. What was this mystery package? A review from Beautiful Book Company. Yes, books. Surprise picks, beautifully packaged, begging to be read. The lovely Emily at The Beautiful Book Company sent me the package, and she absolutely made my day. The Beautiful Book Company offer a great range of book boxes, book subscriptions and they’ve just started to add stationery to their collection, too. 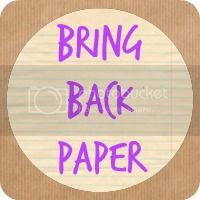 Now, as you know I run Bring Back Paper here, championing all things papery, from snail mail to stationery, but books will always remain my first love. And when I say books, I do mean actual books, not e-books, so when I spotted this on The Beautiful Book Company’s website, I knew we could be friends…. Whilst many people choose e-books these days, we’re sure you’ll agree that there is nothing better than the look, feel and smell of a physical book, whether you’re opening it for the first time, or pulling it off the bookshelf to devour for the twentieth time. You can choose from The Classic Collection, The Contemporary Collection, The ‘New Mum’s Collection, The Traveller’s Collection, The Chef’s Collection, The Film Lover’s Collection, The Arts & Crafts Collection, The ‘Big Cheese’ Collection, The ‘Put Your Feet Up’ Collection, The Retirement Collection, The Couple’s Collection and The ‘Get Well Soon’ Collection, along with a couple of options for kids, The Children’s Classics Collection and The Baby & Toddler Collection. Phew, that’s a lot of choice, something for everyone? As a gift for a book-lover like myself? A guaranteed hit. Especially when that book has been hand selected for you, beautifully packaged and delivered right to your front door. I can see this making a gorgeous present, or treat for yourself, whether it be a one-off or an ongoing subscription, I do like the flexibility that it offers. I’m always up for trying reads that I may not have picked for myself, a great way of discovering authors or genres that are new to me, so this ticks that box. The packaging itself, as you can see, is just perfect and really makes the delivery feel special. The only problem that I have with this is choosing which book to read first! The team at The Beautiful Book Company are now offering one of my readers the chance to win a book subscription for their little one. The winner will receive either the Baby & Toddler collection or the Children’s Classic Collection, as a 3 month subscription (winner’s choice). The competition is open to UK entrants only, and closes at 12am 14th October 2015. Good luck! These sound fabulous! The Children’s Collection sounds perfect for me. I’m a big kid at heart so the children’s collection definitely! The baby and toddler collection. My 14 month old loves books, he’d rather turn the pages of a book than play with his toys! The baby and toddler set looks great! I would love the baby abd toddler collection for my grandson. I’d love to receive the Childrens Classic Collection. Personally, I’d love The Arts & Crafts Collection but the Children’s Classic Collection would be perfect. The baby and toddler please-hopefully my baby will stop trying to eat the books soon! I like the Baby and toddler one or children’s one for my older son. If I could choose for myself, I would love the “Put your feet up selection” that you got! The children’s collection looks great. The Contemporary Collection sounds exactly up my street! Oh my!! Just look at the wrapping!! I am so in love with this now!!! The baby & toddler collection would be perfect for us right now… but the children’s classic collection is fabulous too. It would have to be the children’s classics! Books I loved as a little girl that I could share with my two little ones! Can’t beat a good book!! The baby and toddler collection for my little one. The Children’s Classics sound fab. I’ve been looking for book subscriptions for gifts recently so thank you for blogging & hosting as I wasn’t aware of this company. Hi Jocelyn, Oh the way the books are presented is a real treat in itself! I do love my Kindle, but I would love to receive a package of lovingly presented books like this. And I know my daughter would be in her element if she were to get a box of books like this. I usually by books from The Book People, but I am certainly going to be checking out The Beautiful Book People just to see what they have to offer. I think I would choose the the Put Your Feet collection too. Such a lovely idea, If I had to choose it would be between the Children’s Classic or the Contemporary Collection. this looks wonderful!! what a brilliant gift idea, and some fabulous books there. I would choose the baby and toddler collection! My boys would love the children’s classic collection! Definitely the children’s collection – what a wonderful idea! I think my kids would really enjoy the Children’s Classic Collection! The Children’s Classics Collection sounds fab! The baby and toddler collection – though I love the idea of everything! The childrens classics appeals to me the most. The Childrens Collection would be brilliant for my little girls. The Chef’s collection – they look like they have some lovely recipes! The baby and toddler one sounds perfect for us. The children’s collection looks great thank you ! I’d enjoy the arts & crafts collection, but the children’s classics collection sounds wonderful to put away for when my daughter’s a bit older (and for me to read some books I might have missed growing up). I have started reading a few classics so I would choose the Classic Collection for me. I’d choose the children’s classics. I think I’d end up reading them too. The baby and toddler collection. Start as we mean to go on! Arts and Crafts but they all sound like great collections! I’d love to Classic collection but I think I’d have to choose the Children’s Classic collection for my Daughter! The baby and toddler collection, would be nice to start building a collection up as we are trying for a baby. Well the Put Your Feet Up ones look perfect for me! I think I would find it hard to choose, to be honest. I know my daughters would love getting a children’s version to unwrap! The baby and toddler collection. I would love to win the Baby & Toddler collection for my daughter. Baby and Toddler collection would be perfect for my little 4 month old 🙂 I have a bookcase for him but a small number of books so more would be lovely! The Childrens Collection looks brilliant! Would love this for my son. The Children’s Classic Collection sounds perfect for my daughter Amber.